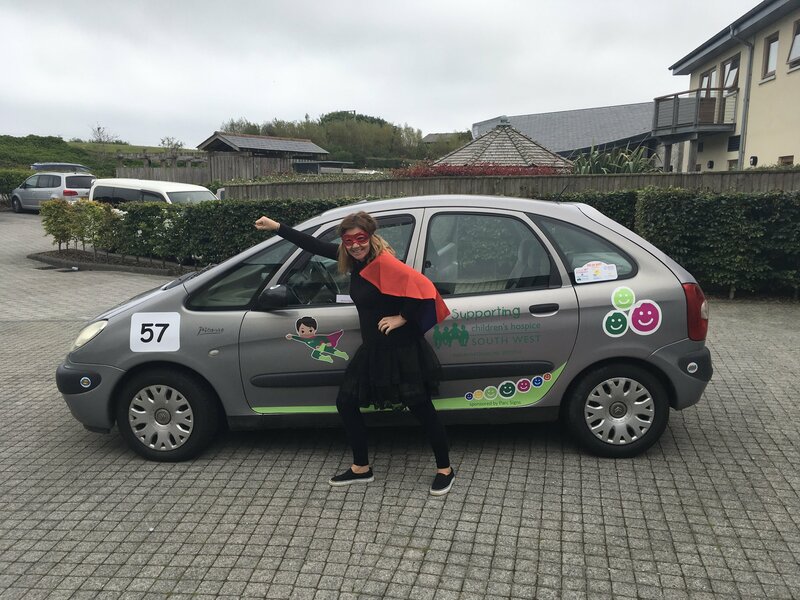 Nikki Isbell, Senior Care Team Leader at Little Harbour children’s hospice at Porthpean is taking on the Banger Rally Challenge Gib or Bust with her husband and two friends and will be travelling across five countries in five days to raise money for Children’s Hospice South West (CHSW). The team will be dressed, along with their suitably decorated car, as the Little Harbour Heroes and quite rightly so. Nikki has worked as a children’s nurse at Little Harbour since it opened in December 2011 and sees every day what a difference short breaks as well as ongoing support can make to local families whose children are living with a life limiting or life threatening illness. She sees how money raised by generous fundraisers across the county and region can make a difference to children and families that use Little Harbour and are sadly facing very uncertain future. Nikki said “I am fortunate to have the privilege to work as a children’s nurse at Little Harbour. My role gives me an insight into the emotional and physical struggles these amazingly strong families go through on a daily basis. Children’s Hospice South West is about making the most of every minute, taking the smallest of moments and making them count. This is an exciting and adventurous way to spread the word about the amazing work we do whilst raising valuable funds for some of the strongest and most inspiring children and families that I have met. Little Harbour provides care and support for children not expected to live into adulthood. Many children are supported by the hospice over many years, visiting for short breaks and respite with the whole family. The hospice provides specialist sibling support as well as a listening ear for parents during stays as well as through communication at home too. Little Harbour is currently supporting over 120 children with life limiting or life-threatening illnesses and their families as well as around 30 bereaved families. CHSW needs to raise around £3 million a year to be able to continue providing this care which is free of charge to families. Visit Nikki's fundraising page and show your support!